Dear Father Kerper: Last April, I heard that the Church had abolished Limbo. Years ago, my grandmother told me that non-baptized babies go to Limbo instead of Heaven because of original sin. Now I hear that Limbo was just an opinion, not a Church teaching. How can I know what’s really true and what’s just opinion? Thank you for your note of interest in this subject, which reflects your honest concern for the salvation of all of God’s children. Yet I also realize that your question reflects the reality that some of us get very frustrated when ideas and practices suddenly change. In order to answer your question we must distinguish doctrine from opinion based on what the Church calls the hierarchy of truths. This means that some teachings are more important than others. Think of it this way. The owner’s manual of your car will show you clearly how to turn on the engine, shift gears, and use the brake. Later, perhaps in a bad snowstorm, you’ll learn how to use your defroster and rear window deicer. Someday when you have nothing to do, you may even read about oil changes, tire pressure, and maintenance. All these instructions are true and helpful, but each one is not equally important. You need to know where to put the key before you worry about tire pressure. Think of Church teaching as a spiritual owner’s manual. The Church has at least four markers for permanent teach­ings: Sacred Scripture, ancient creeds, council statements, and ex cathedra papal statements. First, Sacred Scripture expresses key beliefs, such as the oneness of God, the Trinity, the Incarnation, and the Resurrection of Christ. Second, ancient creeds, such as the Nicene and Apostles’ Creeds, contain settled doctrines. Third, core doctrines of faith proposed by ecumenical councils are also permanent, although open to refinement, new formulations, and development. Fourth, teachings declared ex cathedra (from the chair) by the pope are unchangeable. So far, only two popes — Pius IX and Pius XII — have used this form of teaching. Many older Catholics probably learned about Limbo in religion class. For years, Limbo was proposed as one possible way of resolving the apparent contradiction between two genuine Church teachings, namely, the necessity of Baptism for salvation and God’s desire that everyone be saved. As much as we want to know precisely what happens to non-baptized persons — children and good people — the simple truth is that God’s revelation doesn’t tell us. In the past, Limbo became the favored opinion because many in the Church stressed the necessity of Baptism. Today, however, many theologians, including Pope Benedict XVI, see that opinion as explaining too much, thereby foreclosing possibilities known to God alone. If you study Scripture and key Church documents you will find that nothing proposes Limbo as a settled and indisputable teaching. Indeed, it has none of the markers needed for permanent teachings. Let’s go back to the hierarchy of truths. God’s revelation enlightens us only about matters essential for our salvation. Hence, God tells us how to live a good and moral life, confident that we come from Him, have been redeemed by Christ, and have the hope of eternal life. This information is like knowing how to switch on the engine and use the brake. But God doesn’t explain every detail of how His saving love works in the world. Such details are akin to a car’s clock and DVD player. We can drive the car perfectly well without the correct time and music. Similarly, we can live the Christian life fully and joyfully without clear answers to every possible theological question. One way of approaching this subject with those who have lost children through miscarriage, sickness, or even abortion is to reflect on God’s mercy. The one consistent mystery of God that is found in all four markers of the truth is that God is not merely the God of justice, but also the God of mercy and love. The point is to drive the car rather than to become too engrossed or even distracted by the owner’s manual. And on our road to God, there must, and always will be, mysteries. Our challenge is to let those mysteries serve not as obstacles, but as opportunities for increasing our faith and desire to arrive at our destination, where, we are assured, all things will be revealed. Every human being, even a nonbeliever, has the ability to baptize another person validly. However, the Church authorizes this only in cases of imminent death. A Catholic should therefore refrain from baptizing someone else’s child, even a grandchild, and should not feel guilty about it. Such a situation calls for patient sensitivity toward the rights of the parents who have chosen not to baptize their child. Editor’s note: This article is from a chapter in Fr. 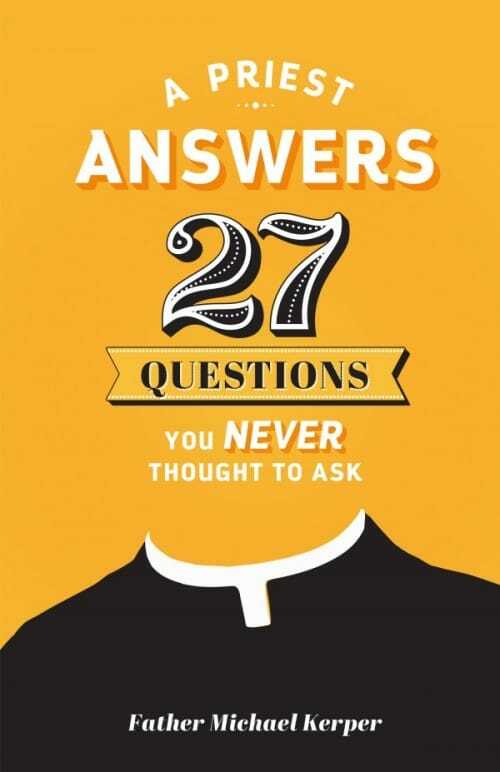 Kerper’s A Priest Answers 27 Questions You Never Thought to Ask, which is available through Sophia Institute Press.